This home built by Hazelwood Homes is located in Geneseo, IL and though it’s brand new, it is an instant classic! 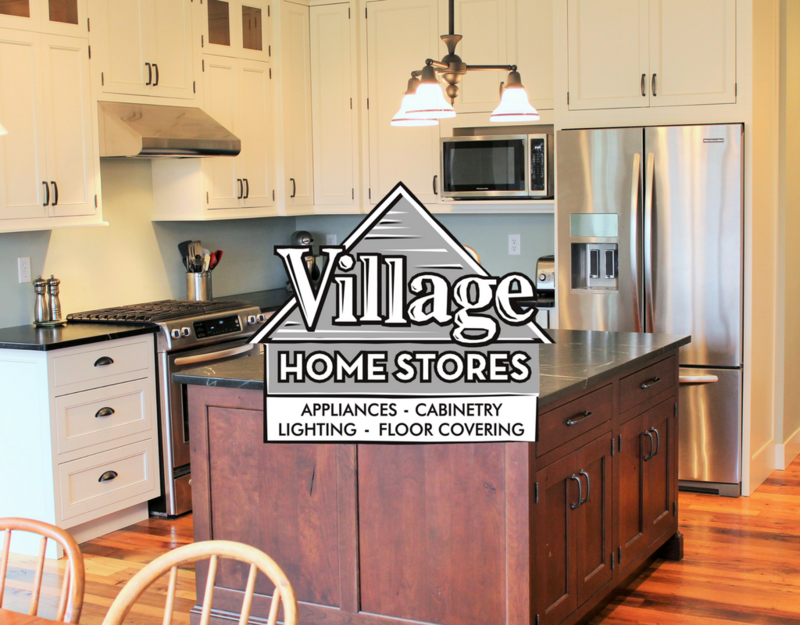 By selecting the right materials and design elements these homeowners and the team at Village Home Stores worked alongside Hazelwood to create a timeless look with plenty of modern conveniences. 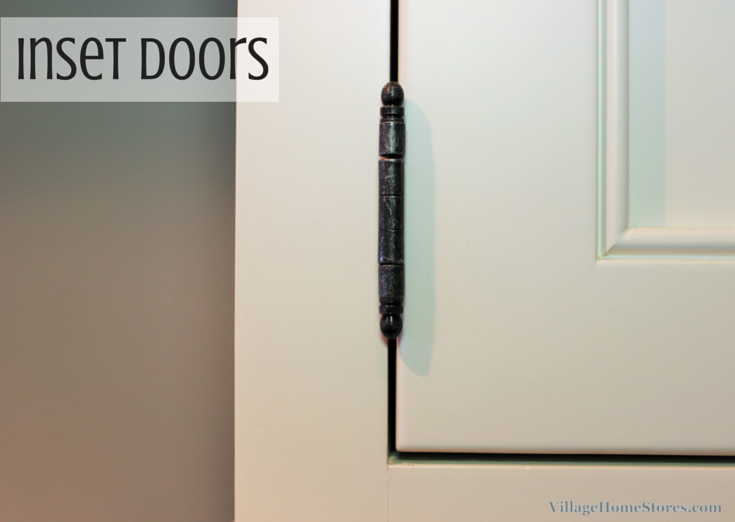 Using inset cabinetry in place of a traditional overlay of cabinet doors may seem like a small detail but it really is what takes this kitchen to the next level. While there is an upcharge to this construction of cabinet, it can be the key element to creating this entire look. Many of the white painted kitchens you see on the covers of the magazines that greet you at the grocery checkout are inset styles. The right materials can make or break a kitchen design. Another portion of the investment made by these homeowners is the use of soapstone for the countertops. 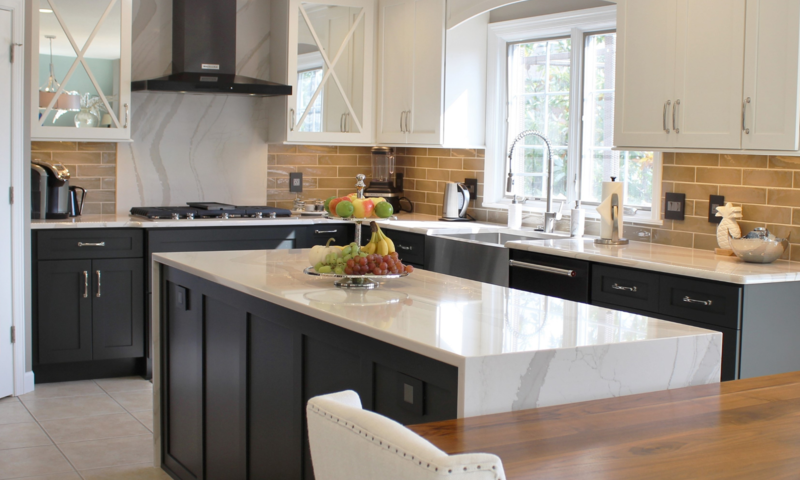 Many materials were discussed and considered but in the end the best way to get the soapstone look desired was to install true soapstone in the kitchen. The perimeter cabinets in this kitchen are from our custom Crestwood Cabinetry line in the “Alexandria” inset door style with exposed wrought iron hinges. They are a Maple wood painted with a color called “Icing” white. The countertops were natural soapstone as we mentioned above and the appliances were a package of stainless steel models from KitchenAid. The large center island is installed in a Rustic Cherry wood finished with the “Bistro” stain. 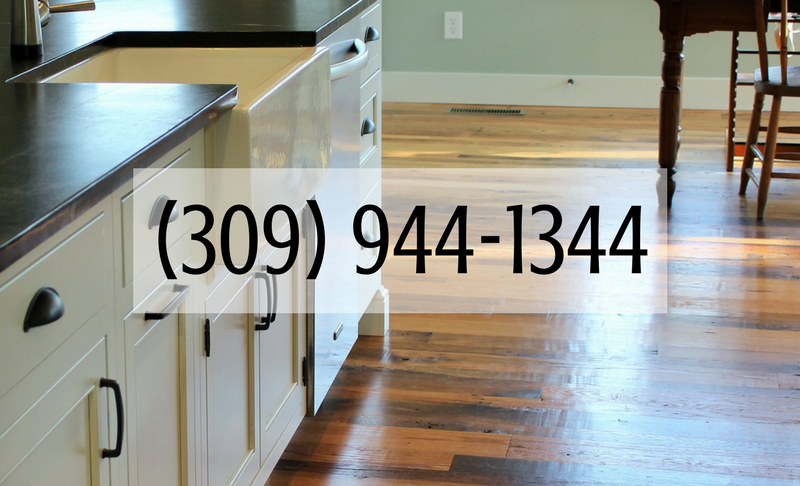 An apron front sink or “farm sink” has been undermounted to the new soapstone counters and matches the classic style. Modern conveniences like a touch-controlled faucet and stainless dishwasher surrounding this sink don’t look out of place but instead they are integrated into the entire design and look right at home. 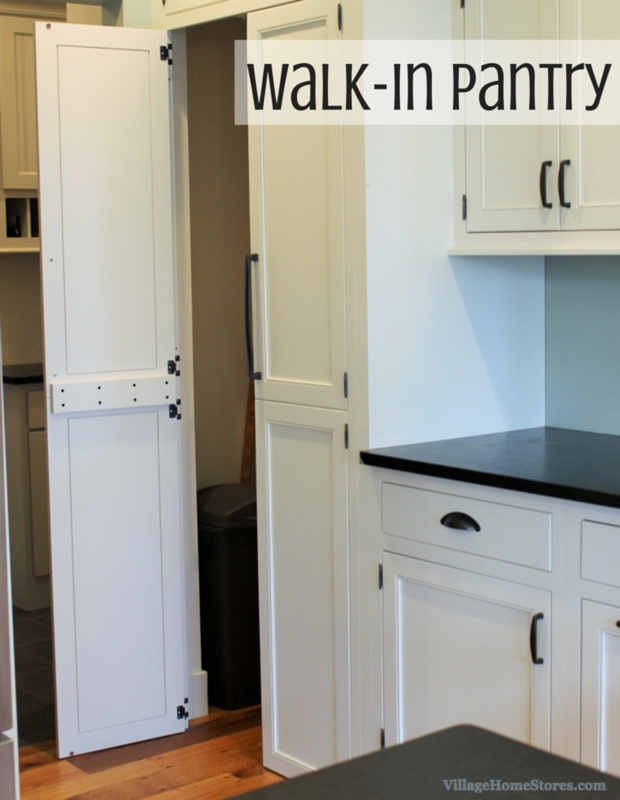 A walk-in pantry front has been installed just down from the kitchen sink en route to the bench area we have previously blogged about. In many remodel designs with similar materials we have a huge design challenge with the limited space in the existing home to work with. With this kitchen being designed within a new home we had the luxury of needed space to allow access to this large pantry area. With a larger footprint for the kitchen design there was also plenty of space to allow for multiple users to prep and cook in. Two ovens and a microwave have all been included in the design and the large island itself can become a large workspace accessed from many sides. In classic inset kitchens you typically will see a handful of elements included in the design to help create this timeless look. Bringing the cabinets all the way up to the ceiling of the room adds storage but it is very important to the look as well. 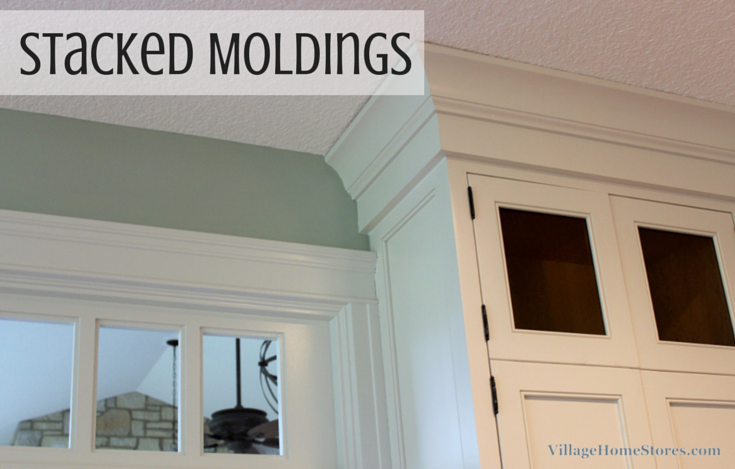 In this case, the cabinet height was pulled down by about 6″ allowing space for a stacked crown molding to be applied.